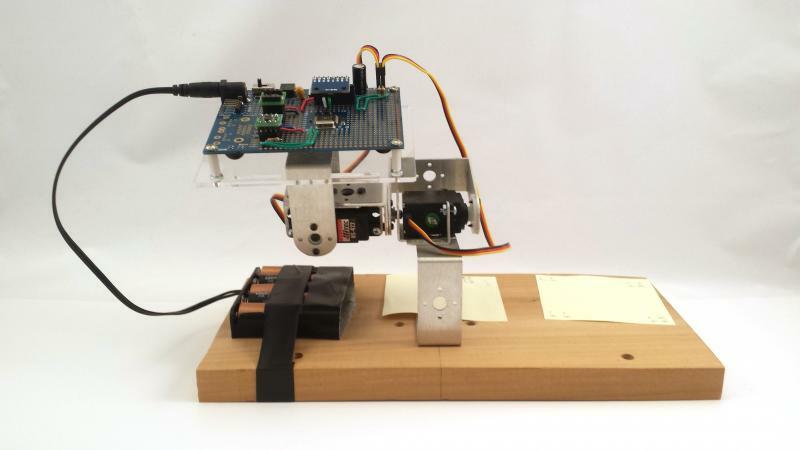 This is a test platform built for testing and implementing sensor fusion algorithms for a flying robot under development. 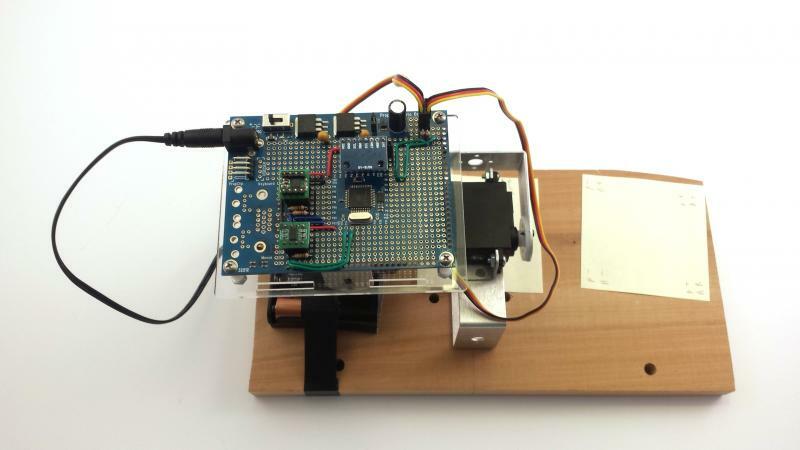 At the heart of the program is a custom Kalman filter that fuses a 3DOF Accelerometer with a 3DOF Gyroscope. What is particularly interesting is that the control algorithms that interpret the fused sensor data do not calculate the exact angle that the board needs to be in order for it to remain level. 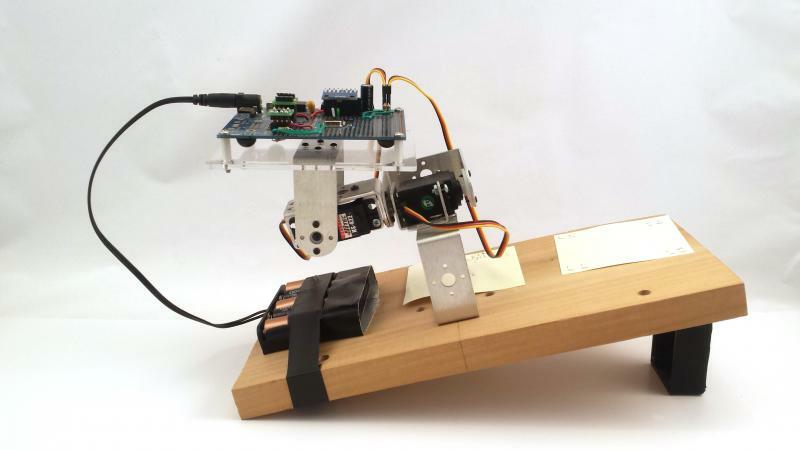 Instead it uses a dynamically scaling algorithm that “guesses” the correct position of the servos through trial and error. What’s very interesting to me is how stable the board remains even though the “arm” that is supporting it is very prone to bounce or wobble when the system is turned off and avoids oscillation errors common with other approaches.